If you have noticed that your driveway is showing more and more wear as the years have gone by, you are likely wondering if it is time to have it repaired or replaced. It can be challenging to decide if what you are seeing on your driveway is normal wear and tear or something you should be concerned about. At Mr. Pavement, we specialize in driveway repair and replacement. If you would like one of our paving experts to examine your driveway and help you determine next steps, we would be happy to help. For your reference, below you will find four signs that your driveway may need to be repaired or replaced. Potholes on driveways and other surfaces form when water in the ground below the asphalt freezes and melts. When the water freezes, the ground expands, and when the water melts, the ground contracts. Since temperatures fluctuate above and below freezing often, the repeated expanding and contracting of the ground can lead to weakening of the asphalt followed by potholes. Potholes can also cause problems for your vehicle’s suspension. It is possible to patch potholes, but a patch will not solve the underlying problem, so you may need to replace your driveway. Cracks can be more than just an eyesore on a driveway. When your driveway is cracked, oil, gas, and salt can enter into the cracked areas. This can cause the cracks to widen and deepen. If you see small cracks on your driveway, it is probably time to schedule driveway repair to seal them to prevent further cracking and worsening of the existing cracks. When you have water that is pooling and not draining properly on your driveway, it is another sign that it may be time for driveway repair or replacement. When water sits or pools in one area of your driveway, it can weaken the asphalt. This can lead to cracks and potholes forming. Overtime, the sun will fade and discolor your driveway. Along with causing fading, the strong rays from the sun can also weaken the surface of your driveway. Depending on the age of your driveway and how weakened it is, you may be able to prevent further damage by sealing it. However, if it has become too weak, it is probably a better idea to replace the driveway. 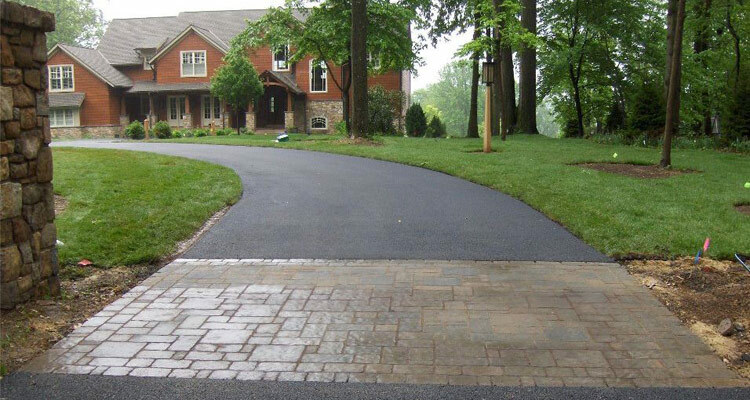 There are many possible reasons you might need to hire professionals for driveway repair or replacement. Mr. Pavement has been in business for over 10 years. We have an excellent team of technicians who are skillfully trained and knowledgeable when it comes to repairing and replacing driveways. One of our technicians would be happy to provide you with a consultation to determine the best course of action to ensure you have a safe and durable driveway. Request a free estimate today to get started.